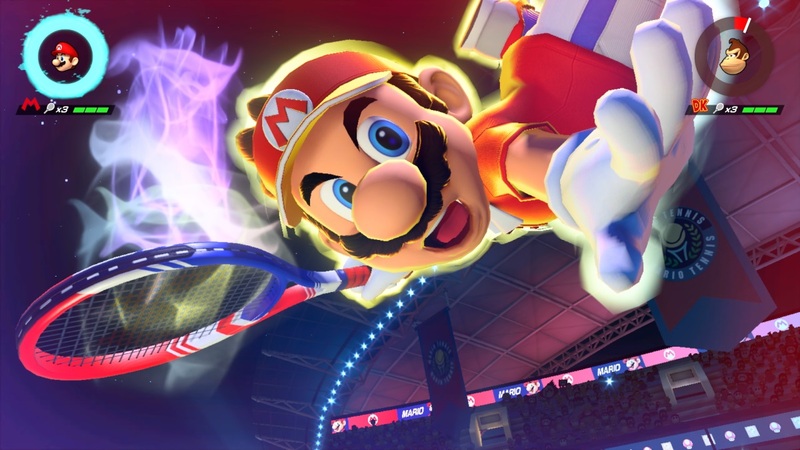 Mario Tennis Aces' online tournament demo is now live on the eShop. The demo will give you a chance to try out the game's online component before the June 22 launch date along with unlocking Mario's classic overalls for use in the final product. There is no limit on the number of times you can play, so feel free to take on as many rivals as you'd like during the event. You'll be able to play until June 3 at 11:59 pm PST. If you do happen to love the game and are keen to get a digital pre-order, you'll receive an extra 300 Gold coins for your My Nintendo account. These can be redeemed for stuff on the eShop, so it isn't totally useless to collect some. You should receive your coins a few days after the game launches, so don't panic if they aren't immediately there. I'll be checking this demo out over the weekend, so maybe we'll run into each other. I loved Mario Power Tennis on GameCube, but I haven't really clicked with many of the other entries (save for the N64 original and the GBC spin-off). I'd really love for Aces to be a return to form because Mario Tennis used to be a staple for my friends back in the day. What a wild sports game.